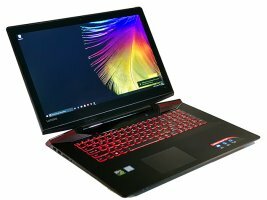 The IdeaPad Y700 is an immersive gaming laptop which offers a complete multimedia experience with high quality display, experience incredible gaming with supreme sound and subwoofer. The laptop features thermal cooling system so it does not heat up easily play without any worry of heating up. It is powered by Core i7 that boosts the power you need to conquer work or gaming challenges. It comes with quality audio so you can hear clear and realistic sounds. It holds a frameless UHD anti-glare display, which gives vibrant view from all angles and enhances your gaming experience. Its backlit keyboard lets you enjoy games, chat and surf even in low night with two level of brightness control. The Ideapad Y700 runs Windows 10 Home which comes plenty of features to entertain a user. Now it is easy to create music on your IdeaPad via Stagelight, it is a fastest and the easiest way to enjoy music on your laptop.